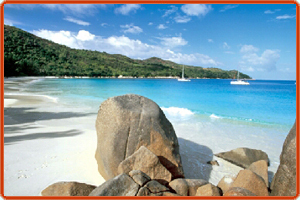 Anse Lazio is easily one of the world's most spectacular beaches. 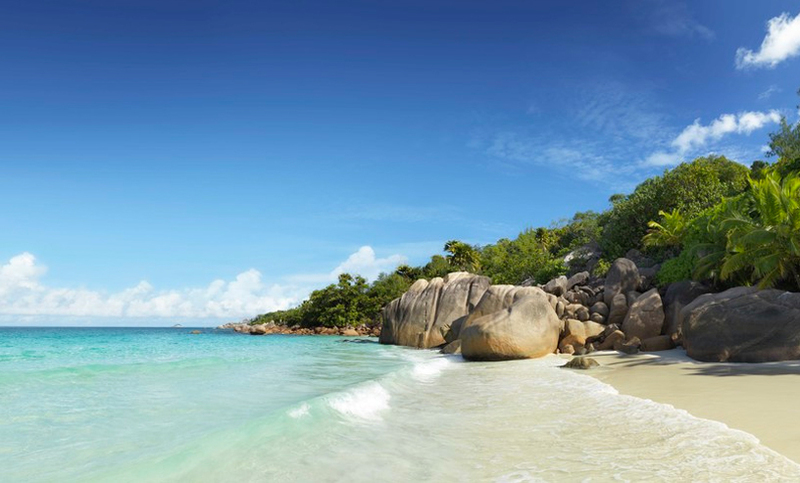 Located on the northwest side of Praslin Island, this popular beach has beautiful white sand, crystalline blue water and a sheltered cove for snorkelling. The crescent shaped beach is surrounded by dense vegetation, rising hills and has spectacular sunsets. The water is shallow, warm and safe for swimmers, making it an ideal getaway for families.